Use the Camera That’s with You! Don’t get me wrong, I love my full-size camera (Olympus OM-D E-M1 Mark II) and take it on many adventures. But, every now and then, I get caught without it or am traveling with people that don’t want the hassle of a camera and tripod. So, I use my iPhone in these situations. 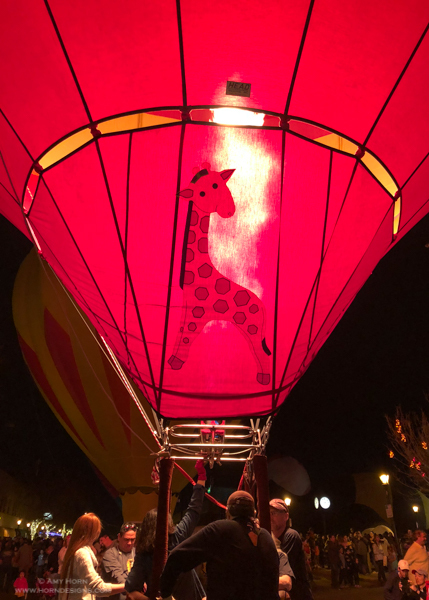 After purchasing the new iPhone X I was invited to visit the Glendale Glitters Hot Air Balloon Glow with family members and thought it was a great opportunity to “play” with my new iPhone. 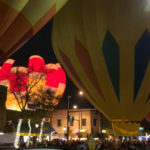 We arrived just after dark and after a quick glance, we gravitated to photograph the balloons instead of the 1.5 million LED lights in downtown Glendale. The low light environment was perfect to test the new iPhone, after all, the iPhone has not been great with low light. 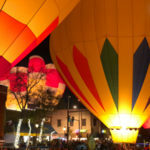 For the last night of the season, the city had about 20 hot air balloons set up “glowing” throughout the downtown streets. Handholding my iPhone was a perfect solution with the large crowds on the streets. I used the main Apple Camera app since it opens from the home screen without unlocking my phone. I held down the shutter button to capture many burst images. When the pilots illuminated the balloons, it was not a steady fire blaze, so burst mode helped me capture the best image. I had hundreds of images to choose from. When I returned home, I spent 30 minutes sorting out the burst images and was thrilled with the result of these low light images. The iPhone X defaults to HDR mode when exposures are extreme and it worked well on my images. I avoided using HDR mode before, but this photo shoot proved to me new technology is ever changing and improving. All of my iPhone photos are added to my Lightroom Mobile app on the phone automatically and then transferred to my home computer. When I opened the images on my home computer, I got even more creative. While I was capturing images of the balloons, I kept trying to get more than one balloon lit up. At one point four balloons were in my frame but I could only catch three glowing. Photoshop to the rescue! Since I used burst mode, the images aligned perfectly as two layers in Photoshop and then with a little masking I made the background balloon visible. And voila! 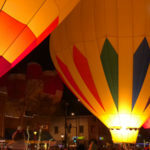 I created a composite of four illuminated balloons! The final image includes removal of the light in the top right hand corner. View the images below to see the transition. Don’t forget, if you don’t take your big camera, use the camera that is with you! If you are interested in iPhoneography, check out one of my workshops from the workshops page! Happy Shooting. This entry was posted in Inspiration, iPhone, Technique and tagged balloons, horndesigns, iPhone on January 16, 2018 by admin. For those who know me, know that I use my iPhone camera quite a bit. So, when my family went to Catalina Island a few weeks ago for a short trip, I decided to take only my iPhone. Of course, I brought my clip-on lenses which included wide, macro, and telephoto lenses along with a circular polarizer. Shortly after arriving, we were at the beach and I was searching for my first shot. 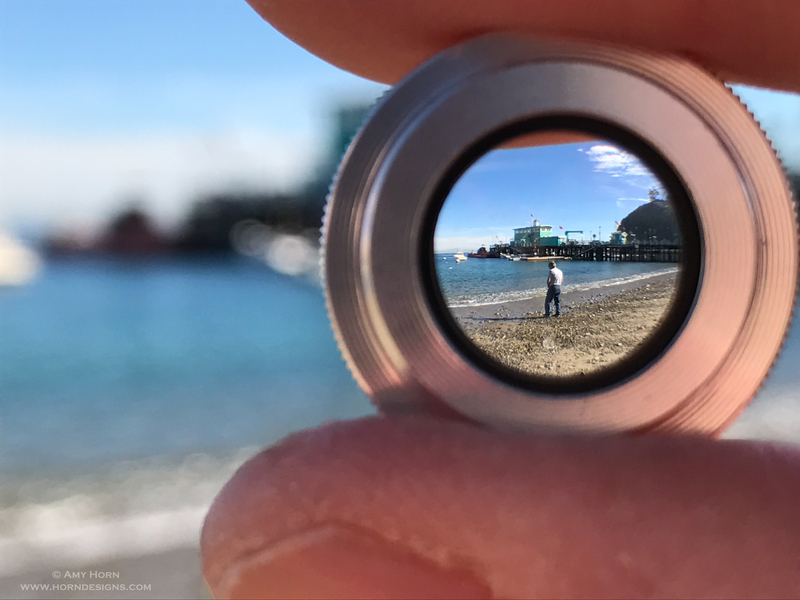 After a quick discussion with my son, I unscrewed a wide-angle lens from the clip and held it in front of the camera. 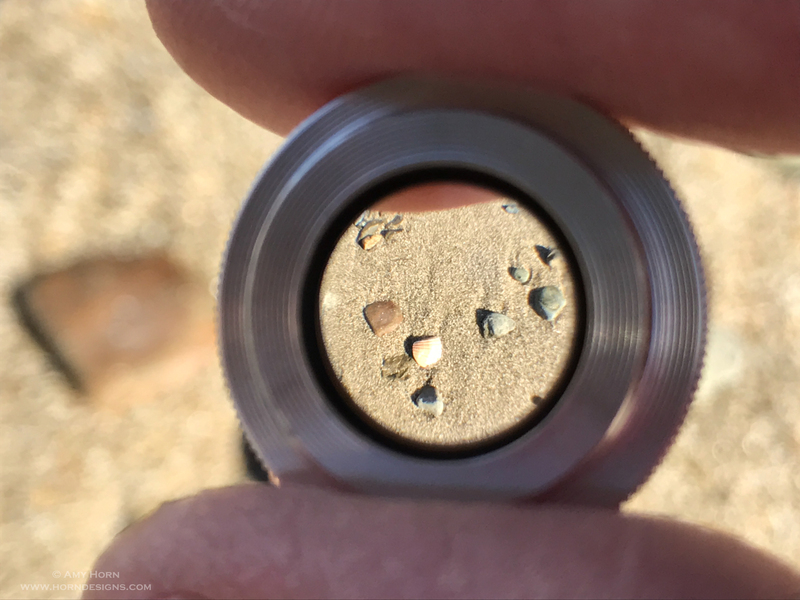 The first image was not perfect, but after placing the lens about 6 inches in front of the camera, I captured a good image. I learned that if I held the lens too close, the camera would focus only on my hand or only in the distance and not through the lens. 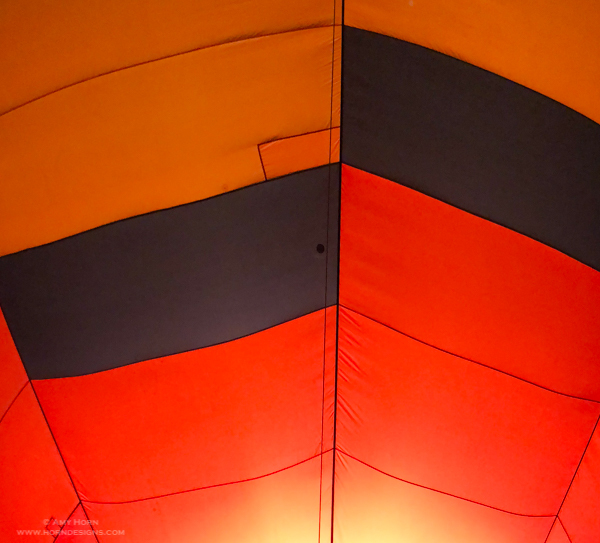 I did experiment with each of my lenses, but was happiest with the use of the wide-angle lens. So, think outside the box and try something new…you never know what you might create! This entry was posted in Inspiration, iPhone on February 21, 2017 by admin.